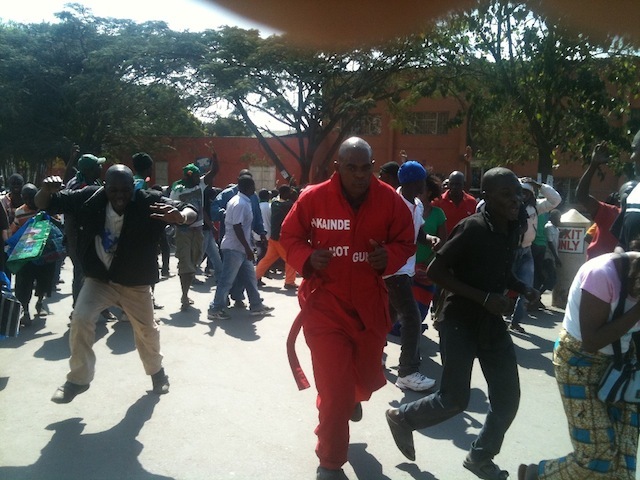 Mobbed by desperate vendors and call-boys who were used and dumped by the PF regime, UPND leader Hakainde Hichilema has continued preaching hope to Copperbelt residents. In once beautiful Copperbelt streets now turned into gravel roads, in corridors, in stadiums and in overcrowded and unsanitary markets where our poor mothers are hassling to earn a living, Hichilema explains to them that the main and biggest problem in Zambia today i’s PF and it’s lies. He told one crowd that Kenneth Kaunda managed to build the existing infrastructure like roads and building but also subsidises farmers. He wondered why the PF have removed the only subsidy that benefits peasants and poor people directly.